A very disappointing offering, Milka. Usually I love a Milka chocolate bar. It's a good solid mass-market chocolate and the company creates such a vast array of flavors and fillings. This Triple Caramel milk chocolate bar, though, is a series of mis-steps. 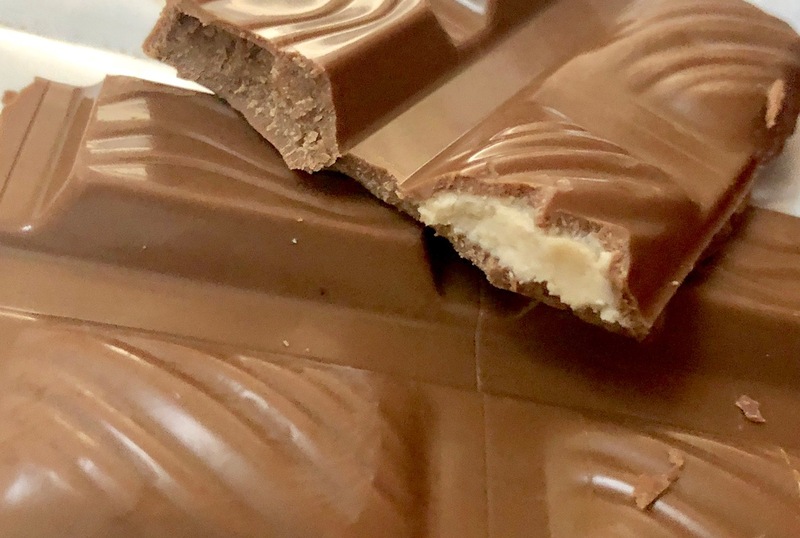 It's a great idea -- like the classic Sky Bar, this Milka Triple Caramel offers three different varieties of filling within one bar. There's liquid caramel, like a Caramello Bar. The center squares consist of a caramel patty that's super sweet and vaguely chalky. 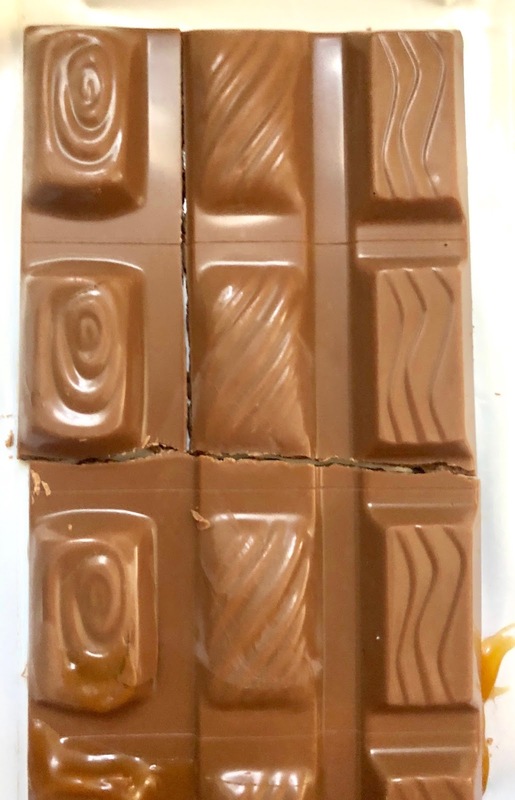 The squares on the right side of the bar consist of solid milk chocolate with tiny hardened caramel bits suspended throughout. I could barely taste them. The Caramello-type filling was pretty good, but the other two failed to delight. Another complaint: the fragile bar is distributed in a thin paper wrapper. Even while perching it on the top of my bag on the way home, the bar was cracked and caramel was oozing by the time I returned home. If there is oozing caramel in a bar, there should be a structured container to maintain the bar's delicate framework.